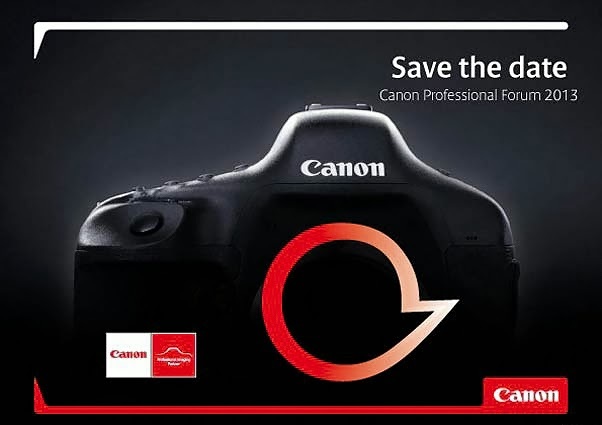 Apparently, there is a professional event on Canon cameras in Berlin, Germany on October 12, 2013. Could this be the announcement of the mega pixel project to replace the EOS-1Ds Mk III camera? Keep checking back for more information. A while back, I reported Canon is working on a replacement to their mediocre EF-S 18-200mm IS lens. Now Egami, the Japanese Photography blog has found a new Canon patent for a EF-S 18-300mm f/3.5-5.6 IS lens. You can read the original article in Japanese here. Interbrand ranks the 100 most valuable global brands on a yearly basis. This year, Canon Inc. ranks 35th, down from 30th last year. Other camera manufacturer like Nikon is not even on the list. Canon’s brand value is estimated at over $10 billion. Click here to see the entire list. There are other companies on the list that also have some involvement in the photography arena, but Canon is the only major photo equipment manufacturer on the list. Others brands with subsidiaries in the photography business are : Samsung (8th), Sony (46th), Panasonic (68th). Apple ranks number 1 on the list and is also the world's most valuable company in terms of stock market capitalization. Interbrand also ranked the best “green brands”. Canon ranks 30th on that list. If you want to learn about the methodology used, click here. Canon USA has started a mail-in rebate program. 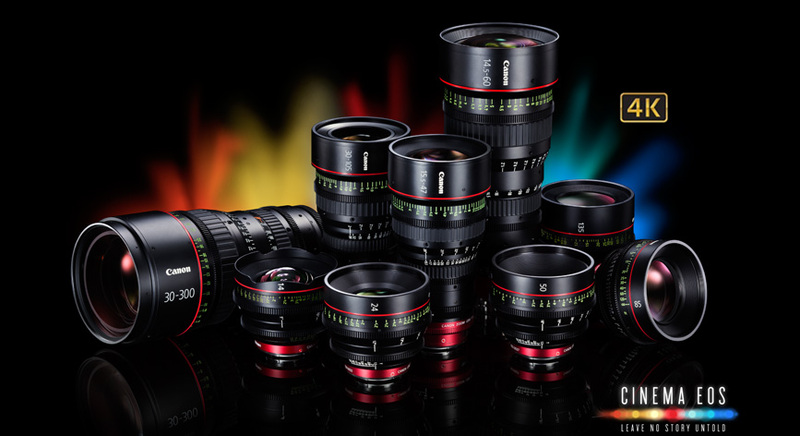 Below are some of the most popular lenses included in the rebate. The program is apparently lasting till the end of the year. You can read my lens recommendation article and get some ideas on these equipment. Visit my website MichaelDanielHo.com to see many photos taken with some of the following lenses. A research program funded by the Defense Advanced Research Project Agency, an arm of the Defense Department, with the hope of leading to significant refinements in navigation of unmanned combat vehicles have led to a breakthrough at the University of California, San Diego. 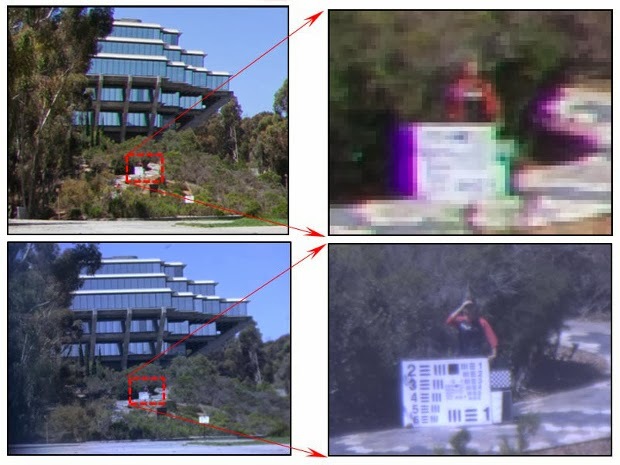 Researchers are fine-tuning new tiny camera technology that may dramatically boost the detail and field of view for DSLRs and smartphone cameras. Joseph Ford, a professor in the university’s Jacob School of Engineering, will be presenting his paper at the Optical Society of America‘s annual meeting next week. You can read the article on the OSA website. Professor Ford and his team are aiming to create a camera assembly with a sensor of about 85MP, an aperture of f/2 with a 120-degree field of view, all packed into the size of a walnut. The combination is based on a perfectly rounded monocentric lens, connected to the image sensor by fiber optic cables, perfectly aligned with the curvature of the lens. They are designed to eliminate the distortions caused by fisheye lenses and still give high resolution, detailed images. If this experiment proved to be successful, eventually it may produce a camera assembly small enough to fit into a smart phone and rival some of the current DSLR cameras in image quality. We are a long way from this eventuality but if cameras in smart phones keep on improving, it is bad news for camera manufacturers paddling low end point-n-shoot and DSLR cameras. In my recent posts, I have reported Canon Japan seems to be in a low point and still working on projects like the Mega Pixel and Medium Format cameras. Now it seems their thinking is at a critical junction because their Mega and Super Mega Pixel projects are intricately linked to their Medium Format work. Canon recently announced their second quarter profits were flat and lowered their projected earnings for the rest of the year despite the depreciation of the Yen. A high technology camera company rarely makes good profits by selling more features for less money. But this is exactly what Canon has done in the last few years. Ever since consumer digital photography was introduced at the turn of the 21st century, and the gradual price reduction of point-n-shoot and DSLR cameras, almost anyone with the time and dedication to learn and practice, can become a good photographer. There is little cache left in photography anymore except in high end, sought after features like full frame sensors and top-of-the-line professional gear. 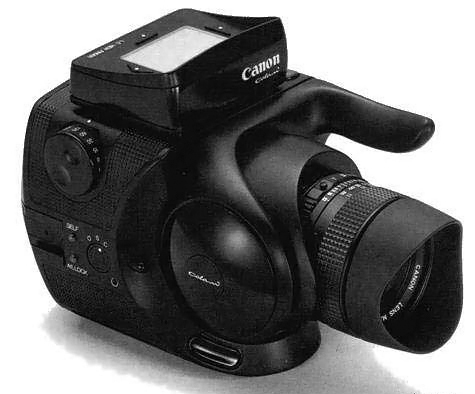 Canon introduced their first consumer DSLR camera, the D30 in 2000. It changed the landscape of photography and ushered in a whole new era. The EOS-1Ds came out in November, 2001. It used to be the dreams of many photographers to aspire to own a full frame DSLR or buy a second hand EOS-1 camera. Then, in 2005 Canon introduced the 'affordable' EOS-5D full frame DSLR camera. I bought all three cameras when they first came out and it cost me plenty but I had a great experience and was satisfied with all the purchases. Fast forward a few years and now it seems there are 'new' product announcements every few months. Many of them come with frivolous features backed by boring sales hype. The products with true innovations seem to take 'forever' to come to market. When the Canon EOS-1Ds Mk III first came out, it retailed for $8,000. Now one can buy the EOS-5D Mk III for less than $3,000 and it beats the 1Ds handily in most technology and features. Is there any wonder why there is a consumer fatigue in new product offerings? Where is the fun and incentive to buy new products when every year something comes out and it is better and cheaper? I have argued in the past Canon has blurred the difference between their high and middle end equipment so much, there is less profit to be made from their premium products. 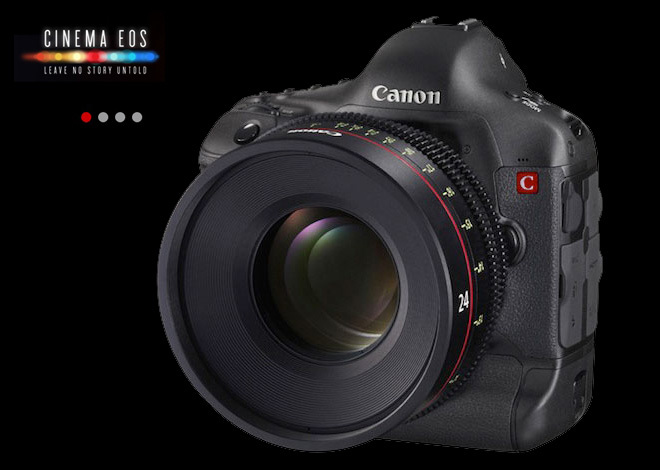 The only profit bright spot is in the EOS-1D and Cinema camera line and Super Telephoto lenses. The current dilemma Canon is facing is entirely of their own making. They have a habit of introducing their latest technology on the low end of their product line. Cases in point are their latest DIGIC processors, STM lenses, touch screen LCD monitors, Dual Pixel CMOS AF technology, all introduced on the lower end products first. Imagine if the 2014 Mercedes Benz S Class ground-breaking 3D cameras, radar and night vision technologies were all introduce on their entry level C Class sedans first, how many people would buy the top-of-the-line S Class sedans? The ever shrinking price/performance differential between prosumer and professional equipment are vexing some 'professional' users. 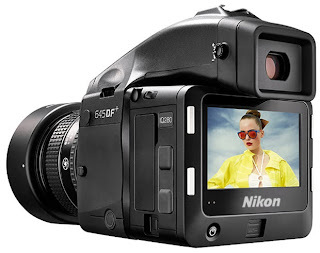 This brings us back to the Super Mega Pixel sensor and Medium Format camera projects. Canon is now going through a big rethinking and trying to improve profits by segmenting DSLR buyers. They are trying to position the new EOS-MF line as a 'premium' product for the nature and landscape photographers. The EOS-1D line will serve the pro wildlife and sports photographers, the EOS Cinema line for the filmmakers, the remaining EOS and EOS-M line for the prosumer and non-professional users. If true, I am not sure these differentiation are necessary. The old way was working just fine until the race to the bottom started with all the price reductions in the past few years and now all camera manufacturers are feeling the profit squeeze, especially the Medium Format companies. When was the last time you see high end Apple, BMW or Lexus products coming down in price? A product's price/performance ratio is the best way to segment the market and indicates what the consumer is willing to pay. I have been a Travel and Wildlife photographer for 25 years using Canon equipment and you can visit my website MichaelDanielHo.com to see my works. I have a few suggestions for my friends in Tokyo. Stop the price reduction strategy and start introducing new technologies on your high end products first. Shelf the idea of introducing a Medium Format camera. The market is too small to recover the investment. Go into a joint venture with a current MF manufacturer if you must. 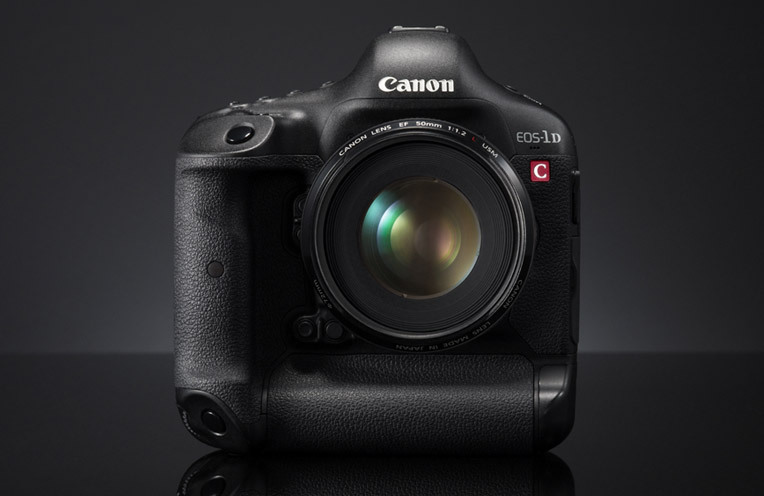 Introduce the successor to the EOS-1Ds Mk III by releasing the full frame, mega-pixel camera as soon as possible. Release the EOS-7D Mk II camera by making it into a 'baby' EOS-1D X. With the APS-H sensor discontinued, many photographers are looking for a 'professional' cropped frame body. Announce a new Super telephoto lens with the Diffractive Optics (DO) technology. The current EF 400mm f/4 DO IS lens is almost 13 years old. The DO lens technology is a winner and differentiates your company from others. The Japanese Photography blog, Egami has discovered a Nikon patent for interchangeable sensor technology. Click here to read the original article in Japanese. It is important to point out the vast majority of patents never make it out of the laboratories. With Canon and Nikon both working on Medium Format sensors and technology, 2014 may be proving to be an interesting year for product announcements. Personally, I think both companies are misguided in pursuing the Medium Format arena. Canon is far behind in their 'meaningful' product announcement and should concentrate on their core competency. Nikon is trying not to be left behind on the MF train. Read my latest post on this topic. Meanwhile, the photographic community is waiting with bated breathe for some real announcements. 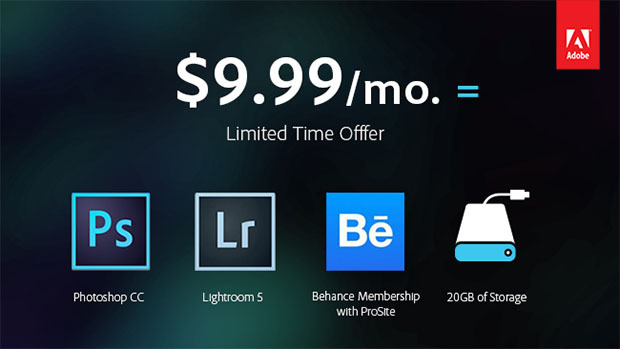 Lightroom is a software application made by Adobe that allows photographers to manage their pictures and videos, as well as providing an elegant way to edit them to create beautiful, finished photographs and maybe a little bit of video. Lightroom exists because it solves a very basic problem: to provide an imaging solution for photographers that would support the natural workflow from start to finish, but with elegance and simplicity. The other side of the problem is that any solution must support RAW files, as well as a way to not damage the picture, but also provide a way to be creative and an ability to create beautiful images. Lightroom was designed in this way, with the photographer in mind, and since then has grown in features to support new requirements, including the management and simple development of videos from cameras and phones. Adobe’s Photoshop Lightroom 5 photo editing software now comes bundled with several of Canon’s EOS DSLR cameras, including the EOS-70D, EOS-7D and EOS-5D Mark III. 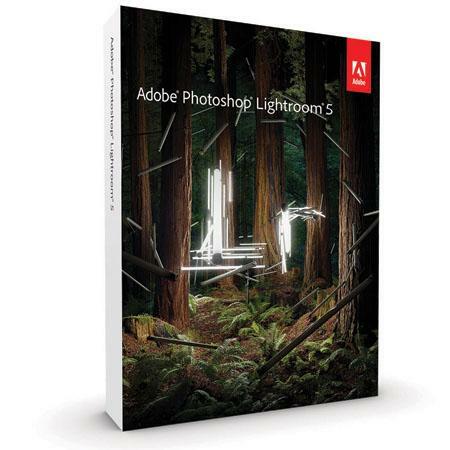 In a four-part series of articles and video tutorials Richard Curtis (Prinicipal Solutions Consultant - Digital Imaging, Adobe UK) will explain the key features of Lightroom 5 to give you a good grounding and understanding of how to get the most out of working with the software. Click here to read the entire article on Canon Professional Network's website. Google is a teenager, turning 15 years old and to celebrate, they have introduced a major search engine overhaul plus a revamped app for iOS users. 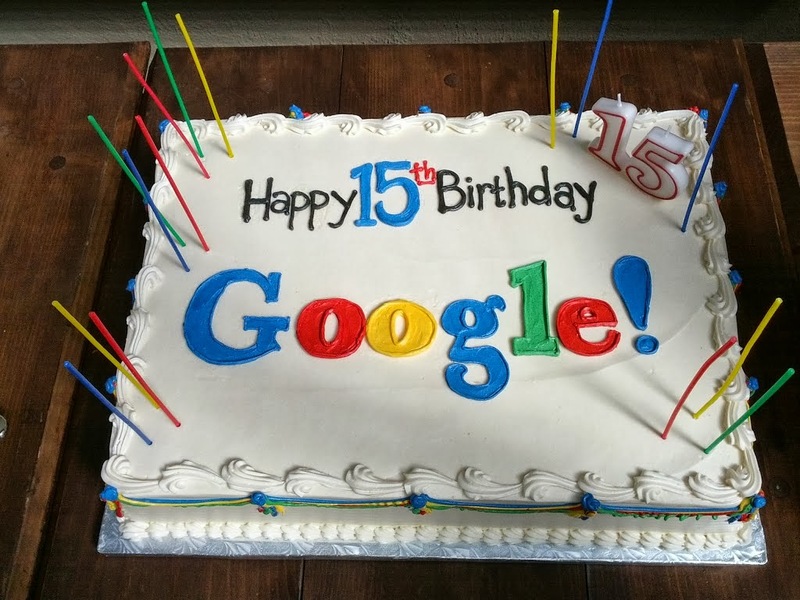 Google has changed the algorithm on its search engine. The last major update was in 2010, code-named Caffeine. The new search engine version is code-named Hummingbird, and was actually introduced about a month ago. It's designed to improve over 90% of complex searches. "Hummingbird makes results more useful and relevant, especially when you ask Google long, complex questions," Roya Soleimani, a Google spokesperson, explained in an email." "It pays more attention to each word in the query, ensuring the whole query is taken into account." 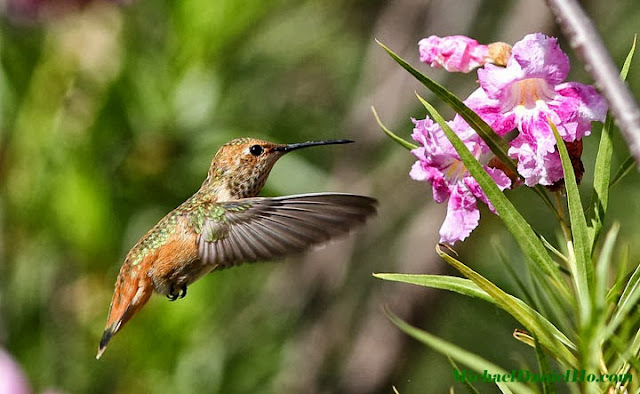 Even if one is uncertain of what one is searching for, Hummingbird will attempt to present results relevant to one's search criteria. Meanwhile, if there are plenty of relevant matches to one's search terms, it also does a better job listing the most relevant web pages for the user. The Canon EF 200-400mm f/4L IS USM Extender 1.4x lens is the winner of the 2013 - 2014 EISA Award. The lens is so much in demand it is heavily back-ordered but the word is shipments are coming to North America soon. 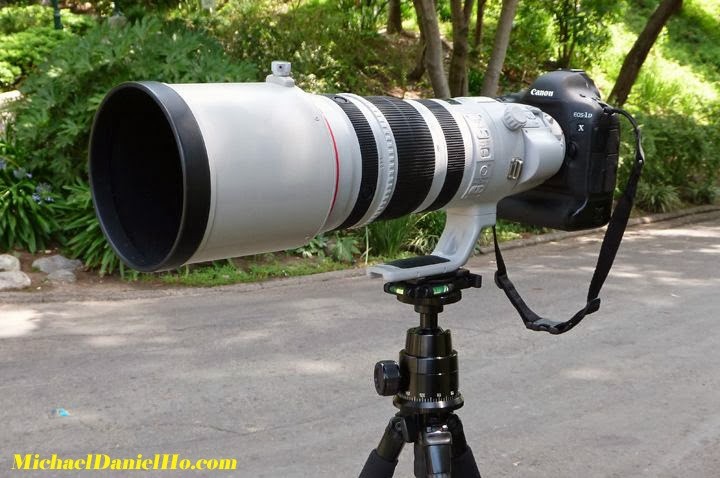 I have owned this lens for about three months now and have taken it to the high Arctic, Africa and Alaska on wildlife photo shoots and it is quite an achievement for Canon to come out with this unique Super telephoto zoom lens. Take a look at my comprehensive review on this lens and visit my website to see more photos taken with it. 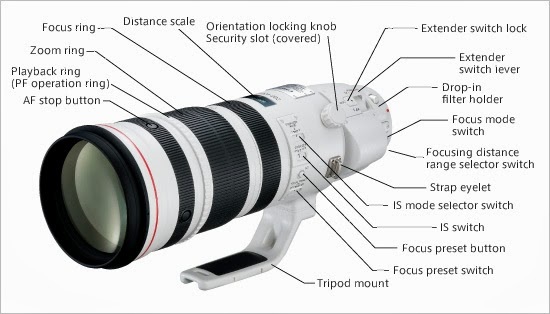 The Canon Camera Museum has published a technical report on the EF 200-400mm f/4L IS USM Extender 1.4x lens. Below is an excerpt from the article. I have taken this lens on a few wildlife photo shoots under harsh conditions, ranging from the high Arctic to Africa. You can read my review of the lens here. We revamped four lenses in our EF super-telephoto lens series — the 300mm and 400mm in August 2011 and the 500mm and 600mm in May 2012 — to satisfy professionals and high-end amateurs. This product was developed with the aim of going one step beyond these lenses. This lens is a super-telephoto lens with a built-in extender that has been newly designed so that one lens can cover a wide variety of shooting conditions and scenes. The extender switch lever lets users quickly switch the focal length range between 200-400mm and 280-560mm in one operation. The lens carries a combination of fluorite and UD lens elements to deliver the image quality demanded of the super-telephoto lens series while also covering a focal length range of 200mm to 560mm with just one lens. This high-power zoom lens is further equipped with superb operability alongside image stabilization functionality, reliable water and dust protection, and excellent durability. The design carries forward the super-telephoto lens series' design concept and sensibility suitable for a flagship model while aiming for a high-grade feel and presence. The lens silhouette, which tapers from the front toward the mount, expresses the beauty of converging light. Each part has been expressly designed so that photographers can give their full attention to the shot. In keeping with this, the frequently used zoom ring has been placed in front of the focus ring (Figure 1). 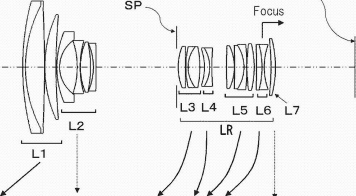 The following sections describe the lens's main features. The lens's optical system achieves the high image quality suitable for a super-telephoto lens, despite being a zoom lens, as well as provides image stabilization functionality and a built-in 1.4x extender for a completely new super-telephoto zoom lens. The lens is arranged with 25 elements in 20 groups. When the built-in 1.4x extender is in use, the lens consists of 33 elements in 24 groups (including one rear filter element). The built-in extender itself is organized with eight elements in four groups (Figure 2). One fluorite lens element and one UD lens element are used in the first lens group and three of the four elements in the focusing lens group are UD elements. The inclusion of these elements drastically reduces the occurrence of chromatic aberrations that tend to appear as color fringing around subject edges, giving high-quality images with excellent resolution and contrast. These elements also help the lens deliver high image quality when the built-in extender is in use (Figure 3). 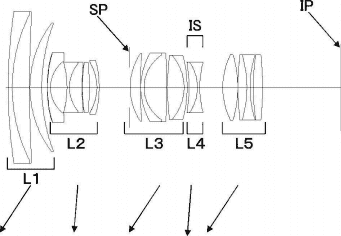 The inner focusing system is provided by the third lens group (elements 11 through 14) and image stabilization by the fifth lens group (elements 17 through 19), which shifts in parallel. The biggest feature of the lens, the built-in extender, provides optimal optical characteristics over the entire focal length range. It is placed by making space within the sixth lens group in the lens's rear fixed lens groups. The protrusion at the rear of the lens is used to house the built-in extender's optics when not in use. Optimizing the lens arrangement and coatings virtually eliminates ghosting and flaring and achieves an excellent color balance. To cut ghosting caused by light sources within the frame, we used a subwavelength structure coating (SWC) on the front surface of the tenth lens group. A fluorine coating is applied to the front and rear lens surfaces (not including the filter glass) that are exposed to the atmosphere so that any dust or contaminants on the lens surfaces can be easily wiped off with a dry cloth. The lens is also designed to minimize color fringing when used not only with the built-in extender but also with external extenders. The minimum focusing distance is two meters, regardless of the zoom position or whether the built-in extender is used. Click here to read the entire article on Canon's website. The Canon EOS-1Ds Mk III camera has been discontinued for about two years and still there is no replacement for this former 'megapixel' king of the Canon professional lineup. Currently, the camera with the highest megapixel sensor belongs to Nikon and Canon's EOS-5D Mk III's sensor has surpassed the EOS-1Ds Mk III by about 1 MP. There are Meagpixel, Super Megapixel and Medium Format prototype cameras in Canon's labs and out in field testing. Canon is in a 'low point' right now, profits are down and outlook is cloudy. Read my latest post on this topic. The only profit bright spot is in the EOS Cinema camera line and Super Telephoto lenses. Canon needs to be decisive and announce technologically advanced products soon in order to stay ahead of the pack. The release of their megapixel camera is a start but replacement of their highly successful EOS-7D camera and EF 100-400mm f/4.5-5.6 lens should be next. Look for some development in late 2013 and early 2014 for additional news. Canon Professional Services (CPS) has been sharing its imaging expertise and helping professional photographers get the perfect shot at London Fashion Week events for the last eight years. The dedicated team of CPS technicians at the CPS centre at Somerset House will once again provide accredited professional photographers with advice, essential maintenance services, equipment loans and help with minor repairs. As part of its initiative to support fashion designers, Canon has been working with Henry Holland to bring unique imagery to his House of Holland show and print his actual catwalk stage using an Océ Arizona flatbed printer. Canon will also collaborate with Ashish to create an instant Look Book about his eccentric and unique collection mixing Western and Eastern cultures, using Canon’s printing facilities. During Vodafone London Fashion Weekend, Canon Fashion 360˚ Studio will provide an engaging, eye-catching and fun demonstration of the power of the image by encouraging attendees to look at an image from different angles. Visitors’ best poses will be captured by 40 Canon EOS 100D cameras in a purpose built studio and resulting images will be integrated into a four-second 360-degree film clip that can be immediately shared via the individual’s social media profiles. Blogger Andy Torres from StyleScrapbook.com will be back to tell a story of fashion, from creation to catwalk, through a series of interviews with leaders from the fashion industry, including Caroline Rush, CEO of the British Fashion Council, and professional photographer Clive Booth. Visitors to Vodafone London Fashion Weekend can try out Canon’s latest products in the touch and try zone of the Canon Fashion 360˚ Studio, Experts will be on hand to offer advice and direction on how to use the cameras to capture the best fashion moments. Canon is inviting accredited professional photographers to participate in the Canon Professional Network (CPN) ‘Best Shot’ competition to find that perfect fashion image. As part of the ‘Shoot like a Pro’ initiative, students from the CPN program will also have the opportunity to shoot the catwalk at London Fashion Weekend and enter their images into the student version of the ‘Best Shot’ competition to win Canon kit. As the Digital Showcasing Partner at London Fashion Week, Canon will be providing live screenings of the latest in high street chic and haute couture, fashion shows, and designer presentations, in the Canon Cinema & Presentation Space within the BFC Courtyard Show Space at Somerset House. Canon-branded buses will transport professional photographers to and from various locations around London for catwalk shows. London Fashion Week (13-17 September) is the biggest event on the British fashion calendar, with over 5,000 visitors at this year’s event. It is followed by Vodafone London Fashion Weekend (19-22 September), London’s largest and most exclusive designer shopping event open to the public biannually. Canon is also a Principal Sponsor of Milan Fashion Week and a Key Sponsor of Paris Fashion Week, and Professional Photo Partner of Mercedes Benz Fashion Week in Russia. For the latest information about Canon and fashion, please see Canon’s Facebook and Twitter pages #canonfashion. Sigma Corporation of Japan is on a roll lately. Their recent product introductions have gained critical acclaim and they have also announced a revolutionary new, fee-based service that will enable the company’s Global Vision lens owners to change their lens mounts for use on different camera systems. Click here to read the earlier post. 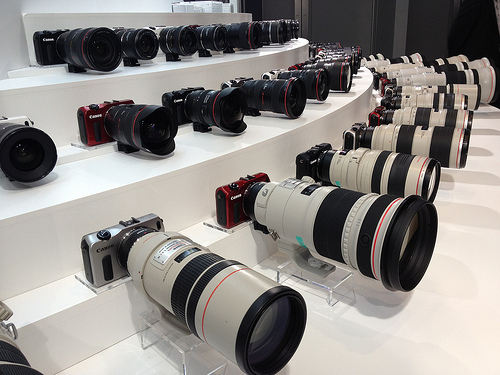 Now there are rumors Sigma may be contemplating more lens introductions before the big Photokina Show in 2014. The following lenses are being talked about but only time will tell whether they have the resources to make that happen. Click here to see a guided tour of Sigma Corporation's factory in Aizu Wakamatsu, Japan. It is quite interesting too see how this major third party lens manufacturer competes against major players like Canon and Nikon. The next EOS-M camera apparently will be called the EOS-M2. There may be two models. One is a basic model and the other one is a higher end product, complete with a viewfinder and new AF system. Both models will feature the DIGIC 6 processor and may share the same 20MP APS-C sensor as the recently introduced EOS-70D camera. Canon may also announce a few new STM lenses, including a 55-200mm and 18-135mm zoom, and maybe a prime lens as well. For some unexplained reason, Canon is not releasing their recently introduced EF-M 11-22mm f/4-5.6 lens in the United States. Look for Canon to make a splash with the relaunch of the new EOS-M models and try to re-energize this line of cameras. Egami, the Japanese Photography blog has uncovered Canon patents for a EF 24-70mm f/2.8L IS and a EF 24-80mm f/2.8L IS lenses. You can read the (translated) article here. The recently introduced EF 24-70mm f/2.8L II lens lacks Image Stabilization and is not a very good value for the money even though the lens is a top performer. Supports images taken with EOS 70D, EOS Kiss X7 / EOS Rebel SL1 / EOS 100D, PowerShot G16, PowerShot S120. Supports new lens (EF-S 55-250mm f/4-5.6 IS STM, EF 200-400mm f/4L IS USM Extender 1.4X, EF-M 11-22mm f4-5.6 IS STM). The accuracy of the white balance in M-RAW and S-RAW images has been improved. pport for EF-S 55-250mm f/4-5.6 IS STM with lens optical correction. Canon Sings The Blues - No More Announcements for 2013? Apple recently introduced their iPhone 5S and the new iOS 7 operating system with much improved camera capabilities. Samsung and other smart phone manufacturers are not far behind with their new offerings to take advantage of the upcoming holiday season. One would think camera manufacturers like Canon and Nikon will also try and cash in and compete in this arena but word is Canon may be almost done with new product announcements for the rest of 2013. If true, that is a major relief for me. The past announcements from Canon, like the Rebel T5i, SL1, EOS-6D were rather misguided, packed with dubious technology and willfully under-priced to attract the 'wrong' segment of the market. Canon recently announced their second quarter profits were flat and lowered their projected earnings for the rest of the year despite the depreciation of the Yen. On the other hand, Apple Inc. is still the most valuable company in the world and they have barely lowered their premium prices on their flagship products like the iPhones and iPads. A high technology camera company rarely makes good profits by selling more features for less money. But that is exactly what Canon has done in the last few years. Canon introduced their first consumer digital camera, the D30 in 2000. It changed the landscape of photography and ushered in a whole new era. It used to be the dreams of many photographers to aspire to own a full frame DSLR or buy a second hand EOS-1 camera. Then, in 2005 Canon introduced the EOS-5D full frame camera. I bought all three cameras when they first came out and it cost me plenty but I had a great experience and was satisfied with all the purchases. Fast forward a few years and now it seems there are 'new' product announcements every few months. Many of them come with frivolous features backed by boring sales hype. The products with true innovations seem to take 'forever' to come to market. When the Canon EOS-1Ds Mk III first came out, it retailed for $8,000. Now one can buy the EOS-5D Mk III for less than $3,000 and it beats the 1Ds handily in most technology and features. Is there any wonder why there is a consumer fatigue in new product offerings? Where is the fun and incentive to buy new products when every year something comes out and it is better and cheaper? I have argued in the past Canon has blurred the difference between their high and middle end equipment so much, there is less profit to be made from their premium products. Shelf the idea of introducing a Medium Format camera. The market is too small to recover the investment. Announce a new Super telephoto lens with the Diffractive Optics (DO) technology. The current EF 400mm f/4 DO IS lens is almost 13 years old. Canon is still the largest camera company in the world and should act like a leader in the industry. Go back to their roots and stop releasing too many products with little real technological advancement and start wowing the photographic community once more with genuinely interesting and innovative products. The rest will take care of itself. I have been using Canon equipment for about a quarter of a century and have watched this company evolved over the years. You can visit my website and see my works below. We have had the opportunity to compare the video AF performance in the lab of Canon’s innovative EOS 70D model with the Sony SLT-A77. Read on to find out how of these two hugely capable cameras performed. 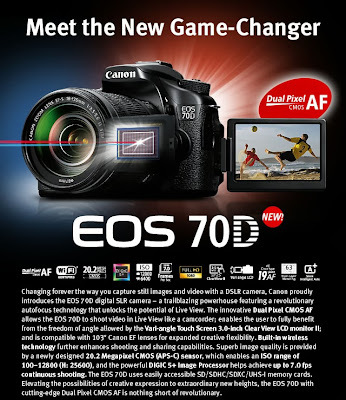 While not the first Canon camera to feature an image sensor with dedicated phase detection pixels for continuous AF tracking and improved AF response during video and Live View (that was the short-lived EOS 650D / Rebel T4i with the Hybrid CMOS AF also found on the EOS M), the EOS 70D is unique in that on-sensor phase detect AF is available on every pixel and adopted for initial subject acquisition and for fine-tuning focus. Phase detection on sensor means there’s no need to additionally implement the slower reacting contrast detection AF system found on most rivals (and the earlier Canon models). According to Canon, Dual Pixel CMOS AF is possible over a much larger area than previous systems, up to an area 80-percent of the image frame. If you’ve read our reviews previously, however, you’ll be aware that the AF system is not evaluated with our usual DxOMark protocols. However, one of the main benefits to this new sensor design has been the successful melding of image capture and subject detection for auto-focusing without sacrificing image quality. It is, potentially, a game-changer for the DSLR, for the time being allowing the conventional phase-detection based AF module to remain in the base of the mirror box under the reflex mirror, which is used for AF with the firm’s range of EF and EF-S lenses. In the future, it may allow some freedom for Canon’s camera designers, perhaps even allowing a return to interchangeable viewfinders in top-of the-range bodies. Then perhaps these models could offer the option of an electronic viewfinder for video or an optical viewfinder for stills. Either way, the new dual pixel CMOS AF system in the EOS 70D is an exciting development, and we thought we would compare the AF capabilities against one of its most able rivals, the Sony SLT-A77. This camera retains the separate, dedicated phase detection autofocus module like a conventional DSLR, thanks to the adoption of a fixed semi-silvered “Translucent” mirror. Instead of redirecting light to a secondary mirror underneath the main mirror and then onto the dedicated AF module, the new mirror reflects some of the light upwards into the AF module, in the area usually occupied by the prism. This meant Sony could replace the optical viewfinder with an electronic version while the faster phase detection autofocus system could be employed full-time for stills and video and during live-view, while offering the DSLR-like handling and responsiveness that users had been accustomed to. There are other benefits to the fixed mirror as well, such as ultra-fast continuous shooting in stills but also improved subject tracking performance during live view and video. As with the Canon, the Sony does not use contrast detection AF. The Canon EOS 70D is an attractive proposition for both stills photographers and video users. The new Dual Pixel CMOS AF cleverly solves the problem of the redundant viewfinder based phase detection AF system when recording video and neatly avoids the patented trans-missive mirror solution adopted by Sony. 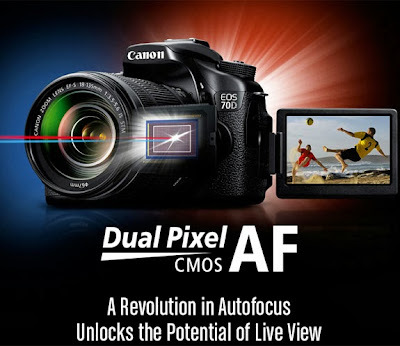 As well as retaining an optical viewfinder, the Dual Pixel CMOS AF sensor with its total of 40 million pixels used for image capture shows a small but palpable increase in lowlight performance and higher levels of sharpness than previous APS-C cameras from the firm. We observed only a marginal improvement in DR over earlier offerings, and while perhaps not the best in class this may or may not be that significant, depending on the type of photography practiced. For video enthusiasts, this camera is one of the best choices available on the market currently and at least is a viable option to the entirely likeable and very capable Sony SLT models. For comparison between Canon EOS-70D vs Sony SLT A77 video performance, visit here. Peripheral Illumination Correction : This feature maintains even brightness from corner to corner of an image. This will virtually eliminate vignetting and any other unevenness of light across the image. Chromatic Aberration Correction : This feature reduces color fringing in areas of an image with high contrast color. It reduces color bleeding, which is easily noticeable at edges and degrades perceived image quality. In addition, communication between the lens and camera body will allow the F-stop to now be seen on the viewfinder. Focus position and F-stop will also now be recorded by the camera. Flicker caused by manual aperture adjustment has been reduced with this update, this could cause slight underexposure which may result in exposure compensation in some cases. After requests from users in the field, audio recording through a mini plug (3.5mm) connected to the external microphone terminal is now supported. This will allow for the recording of audio sources other than microphones, such as mobile devices or audio players. The standard input level is -8 dBV and can reach an input signal of up to +6 dBV. Sound recording levels are adjustable at 64 sound-recording levels. Service support start date is anticipated mid-October 2013. For information regarding the EOS-1D C firmware update (which must be performed by a Canon Factory Service center) please contact Canon Cinema EOS Support at 1-855-CINE-EOS (246-3367). 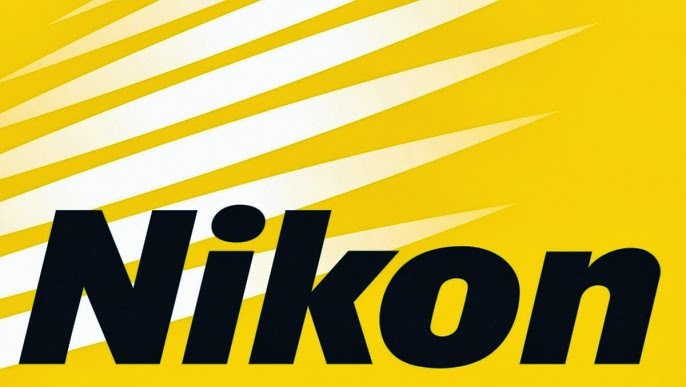 Nikon announced the AW1 camera today, "the world’s first waterproof and shockproof interchangeable lens camera", reads the headline. Reminds me of the Panasonic Lumix DMC-TS4 camera I bought about 2 years ago. I wanted a point-n-shoot camera with some 'waterproofing' capability but the marketing tag line about waterproof and shockproof claims are almost identical. Such is the advertising hype for new cameras these days. All camera manufacturers do it. They do it for low end and high end cameras as well. The 'new' Nikon 1 AW1 is really a Nikon 1 J3. The camera comes with the 14.2-megapixel CX sensor, the EXPEED 3A processor with an ISO range between 160-6400, a 73-point AF array and the ability to shoot Full HD 1080p photos. It is rated to a depth of 49-feet, withstands drops from as high as 6.6 feet and can operate in temperatures as low as 14° F. The camera comes with a waterproof pop-up flash, GPS, altimeter, depth gauge, electronic compass and virtual horizon indicator all built-in. 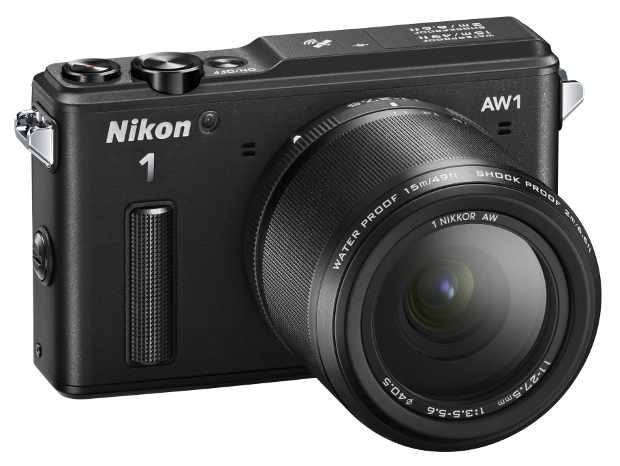 Nikon 1 lenses can be used on the AW1 with an adapter but using the camera underwater requires 'waterproof' lenses and Nikon has also released two waterproof glass to accompany the camera : the 11-27.5mm f/3.5-5.6 and a wide-angle 10mm f/2.8. The AW1 comes in three colors - black, silver or white. Availability is scheduled for October, with a MSRP of $800 and $1,000 for a single and two lens kit, respectively. My readers know by now I am quite enamored of my Canon EOS-1D X camera. Read my review here. However, they are times I would like to shoot a professional video of a scene and still take high resolution images of a particular moment. This is where the Canon EOS-1D C camera really shines. When Canon comes out with the second generation model, I will seriously consider buying one even though I am strictly a still photographer. That's how good this EOS Cinema can be. Take a look at the video below and see if you have ever found yourself in those situations. Thank you for purchasing and using our products. We would like to announce that we are going to introduce SIGMA Optimization Pro Ver. 1.1, an update to the dedicated software for the SIGMA USB DOCK, in the end of September. Even after the update of lens firmware, this updated version of software will allow customers to secure all the settings and adjustment values of AF and OS that are customized via the USB DOCK. As SIGMA USB DOCK users, please be sure to update to SIGMA Optimization Pro Ver1.1 from the following page, before operating any lens firmware updates. Moreover, as the new version of SIGMA Optimization Pro becomes available, we are planning to update lens firmware for 35mm F1.4 DG HSM A012 for Canon mount as well as 17-70mm F2.8-4 DC MACRO OS HSM C013 for Sigma, Canon and Nikon mounts. We appreciate your continuing support for our company and products. Canon is apparently scheduled to release two new EOS-M cameras some time soon. Although this camera is not as successful as the Canon Rebel, EOS-5D and EOS-6D line of full frame cameras, Canon has not given up hope yet. Management realized the weakness of the EOS-M and is trying to remedy the situation, revive the entire line and give it another go. Although the mirrorless camera market is doing quite well in Asia, especially in Japan where it is very popular with women, Canon is paying the price of playing catch up with their competitors in this segment. Being the only major manufacturer without a mirrorless camera, they rushed out a product last year to fill the gap and now realized the limitations of their hardware design. The next generation of EOS-M should fix the problem once and for all, but at a higher price point. There may be two models. One is a basic model and the other one is a higher end product, complete with a viewfinder and new AF system. Both models will feature the DIGIC 6 processor and may share the same 20MP APS-C sensor as the recently introduced EOS-70D camera. Canon may also announce a few new STM lenses, including a 55-200mm and 18-135mm zoom, and maybe a prime lens as well. For some unexplained reason, Canon is not releasing their recently introduced EF-M 11-22mm f/4-5.6 lens in the United States. Look for Canon to make a splash with the relaunch of the new EOS-M models and try to re-energize this line of cameras. 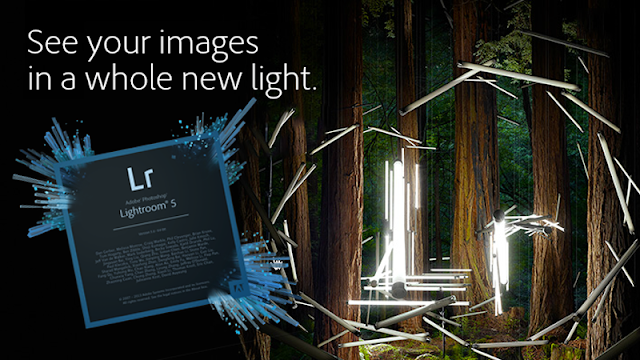 Adobe Lightroom, Version 5.2 is ready for download and a free trial is also available. Support has been added for the latest cameras, like the Canon EOS-70D. 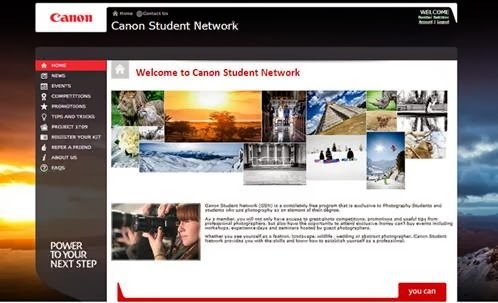 Click here to see the full specifications of the camera on Canon's website. Click on this latest post to understand the innovative Canon Dual Pixel CMOS AF technology. SanDisk announced last year the company will not be pursuing the XQD memory card format, but instead would focus its energies on CFast 2.0, the highest speed of any CompactFlash card. Now the company has announced the world’s first CFast 2.0 card and the fastest memory card of any kind. 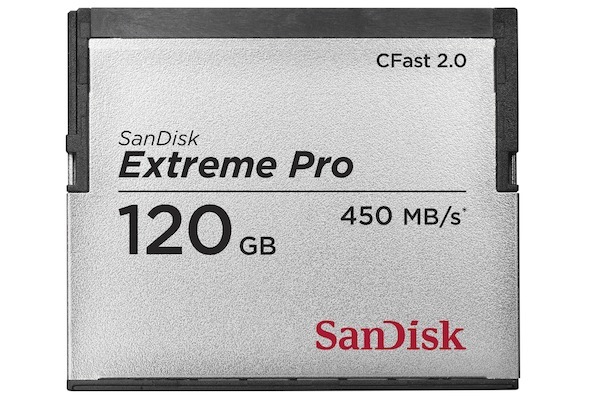 The card’s official name is the SanDisk Extreme Pro CFast 2.0 card. Currently, the fastest card on the market is the Toshiba’s Exceria Pro SDHC card but the new SanDisk card's read speeds can reach 450MB per second and write speeds of up to 350MB per second. For now, the only thing holding back the new CFast 2.0 card's introduction is compatibility. Only the Arri Amira currently supports the pinless cards. SanDisk is working with Canon to make their card support top-of-the-line cameras like the EOS-1 bodies. No price has been mentioned but the card is already in the U.S., Europe and Asian photo specialty stores and at ARRI authorized retailers in both 60GB and 120GB versions. To get an idea of the price of this lighting fast CF card, just look to the recent announcement of the SanDisk 256GB CF card. According to SanDisk, "the world’s first high-capacity, high-performance 256GB CompactFlash card with the latest Video Performance Guarantee (VPG-65) specification” sells for $1,810. That will cost you more than a Canon EOS-6D full frame DSLR camera. Like they say, "speed kills." In this case, it can kill your equipment budget very quickly. Recently, I reported that Canon has been working on Medium Format camera technology and may come to a decision whether to enter this photography space some time in the not too distant future. Read my latest post on this topic. Nikon is a smaller company than Canon but they are also looking into the world of Medium Format photography. Egami, the Japanese Photography blog has uncovered a Nikon patent for a 100mm f/2.5 medium Format lens. Read the original article here in Japanese. Big photographic companies like Canon and Nikon conduct research and file patents all the time but the majority of patents never make it to the market. Canon has reported disappointing financial results for the second quarter of their fiscal year and projected lower earnings for the rest of the year. The competition coming from premium smart phones, with their improved optics and software, have taken sales away from the traditional Point-n-Shoot and DSLR camera manufacturers like Canon and Nikon. All the camera makers are looking for additional sources of revenue. Canon is getting heavily into the world of video and film production with their EOS Cinema cameras and lenses. Getting into Medium Format photography can be another angle to increase future sales but I doubt Nikon will make a move until Canon has made a decision one way or another. Canon makes a family of DSLR cameras that come with a variety of continuous shooting speeds, ranging from 2.5 frames per second on the EOS-300D (Digital Rebel) to the lighting fast 14 fps on the top-of-the-line EOS-1D X camera. The above sounds were created by taking the burst mode shutter sounds of cameras in the Canon lineup, visualizing them, and then arranging them in order of speed. The cameras featured are : 300D, 1100D, 350D, 440D, 550D, 5D Mark II, 6D, 30D, 1Ds Mark III, 5D Mark III, 60D, 50D, 40D, 7D, 1D Mark III, 1D Mark IV and 1D X. The Canon camera that many have been waiting for. However, for me, I am really waiting for the EOS-7D Mk II to be introduced, perhaps late this year or earlier in 2014. Read my earlier post on this topic. TOKYO, Japan, September 12, 2013 - Canon Inc. has successfully captured video footage of Yaeyama-hime fireflies flying in darkness, a feat made possible by the high-sensitivity 35 mm full-frame CMOS sensor developed by Canon for video capture that was announced in March 2013. The high-sensitivity, low-noise video-shooting capabilities of the dedicated 35 mm full-frame CMOS sensor1 for Full HD video capture were made possible not only through the integration of the high-performance sensor technologies employed in Canon's digital SLR cameras, but also through the incorporation of new pixel and readout circuitry technologies that reduce noise. Using a camera prototype equipped with the CMOS sensor, Canon, in cooperation with ZERO CORPORATION,2 succeeded in capturing video3 of the Yaeyama-hime fireflies that inhabit Japan's Ishigaki Island, located off the northeastern coast of Taiwan. No artificial lighting was used during shooting, which took place after sunset amid the island's mountains. Despite an exceptionally dark shooting environment4 of less than 0.01 lux, a level in which the naked eye would have difficulty discerning surrounding objects, the CMOS sensor was able to capture not only the color of the light emitted by the fireflies, each of which measures only a few millimeters in length, and their movements, but also the surrounding vegetation in which the species lives. Plans call for the footage to be used to benefit future research into the Yaeyama-hime firefly. In addition to astronomical and natural observation, Canon is looking into applying this CMOS sensor to medical research purposes as well as surveillance and crime-prevention equipment. Through the further development of innovative CMOS sensors, Canon aims to expand the realm of photographic possibilities while cultivating the world of visual expression.